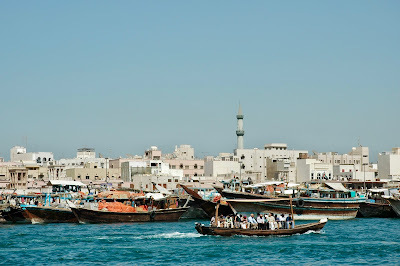 Dubai is an ideal destination when looking for a place for beach vacation in combination with sightseeing. In addition, the flight time from Western Europe is not long (6 hours) and the time zone difference is a mere 3 hours. 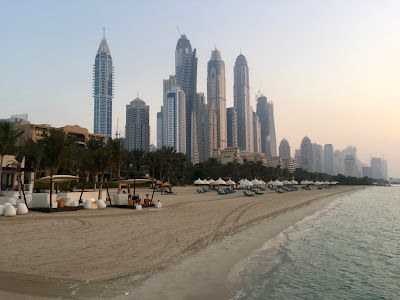 When looking for a fine luxury accommodation on the beach not too far away from the city center, then Hotel Royal Mirage is a favorable choice. 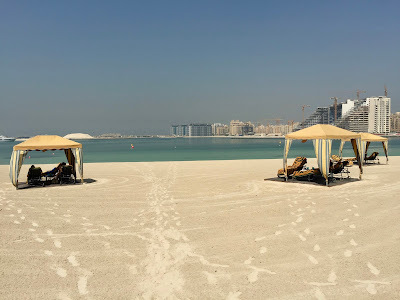 After 2 stays there, my husband and I decided to return again to this fantastic hotel at the Jumeirah Beach. Although Dubai has undergone a huge transformation since our first visit in 2001, it is still one of our fave for a few days in the sun. 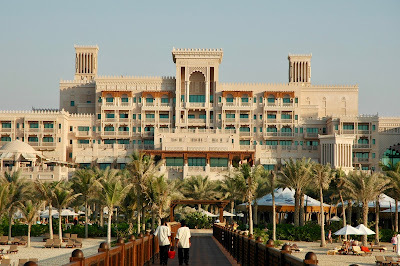 One&Only Royal Mirage has 3 “sub”-hotels. First of all, there is the initial one, The Palace. We stayed there when first visiting Dubai in 2001. This was shortly after 911. The hotel was half empty due to the tourism decline after this terrorist attack. At the time, the desert almost began behind the hotel. Later on, 2 other hotel parts were built: the adjoining Residence & SPA and – even further away - the Arabian Court. On the occasion of our revisit in 2004, we opted for a stay at Residence & SPA. At that time, the construction of the Palm Jumeirah was in full process. 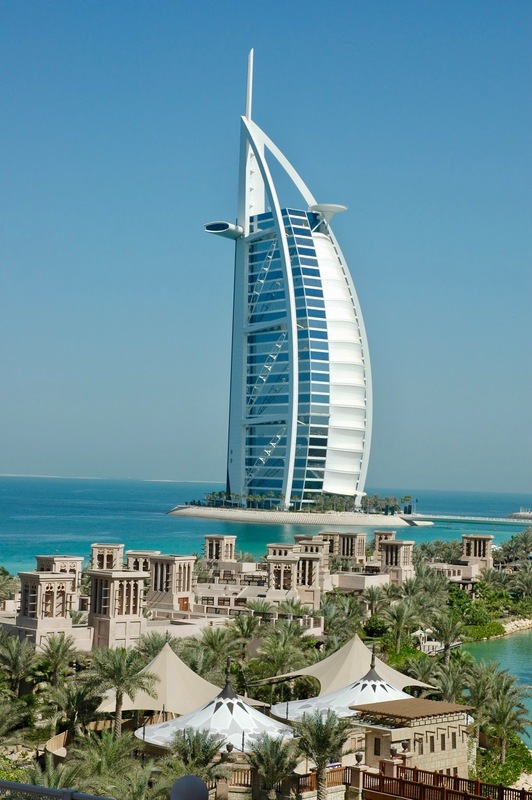 Behind the hotel, the Dubai Marina, intended to accommodate more than 120,000 people, was under construction, too. When we returned again in 2015, again staying at the Residence & SPA, both the Palm Jumeirah and the Dubai Marina had been completed. 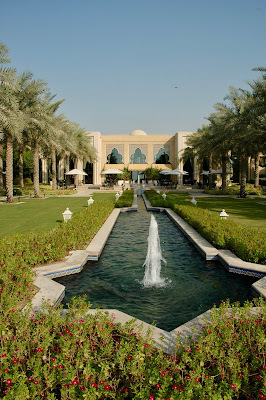 It is hard to believe how the area around the initial One&Only Royal Mirage The Palace changed in merely 14 years! 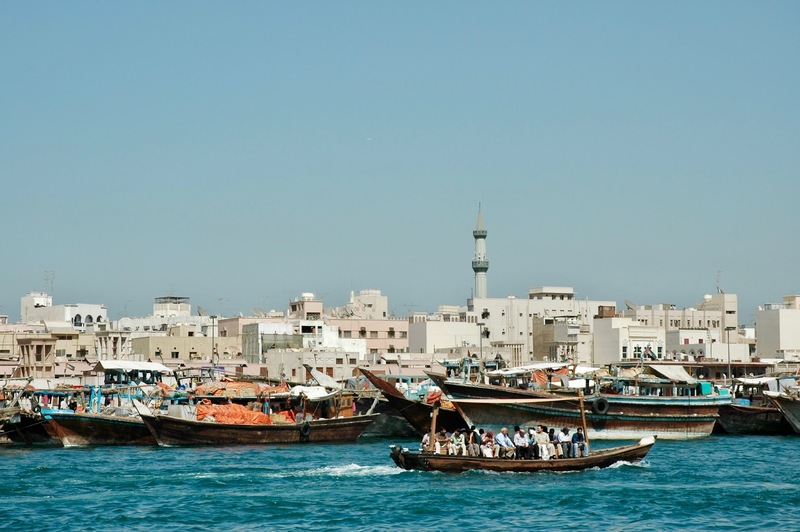 When first being there, the view of the Arabian Gulf was unobstructed. Now, there is no more open sea, but you overlook The Palm Island Bay. Of course, this is different, but not a reason not to return to the Royal Mirage. This One&Only resort is simply too good not to consider it again for another stay. 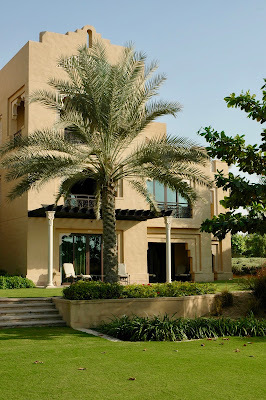 In my view, Royal Mirage is ideally located, when being in Dubai for the beach and the sights. 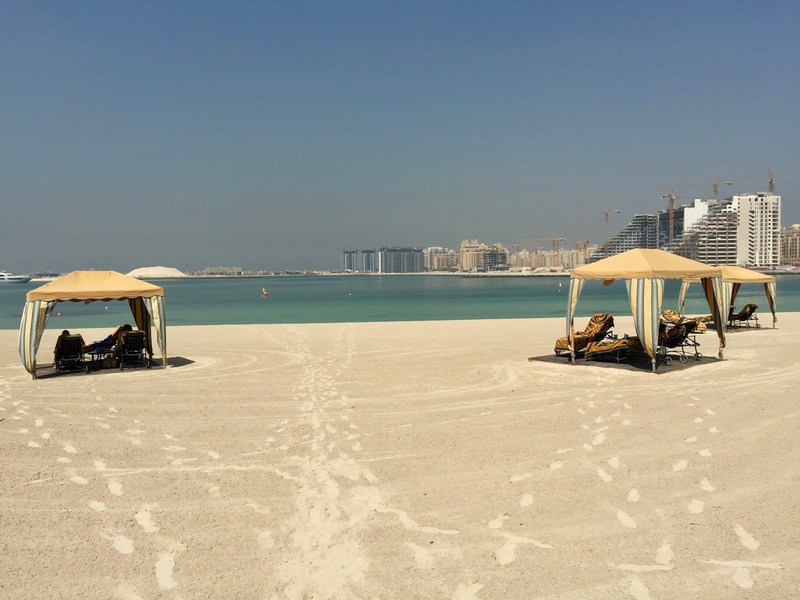 The setting, now “only” at a bay (not on the open sea any more) on Jumeirah Beach, is perfect for beach vacations and for sightseeing. The city center and also other points of interest can be reached in reasonable time. 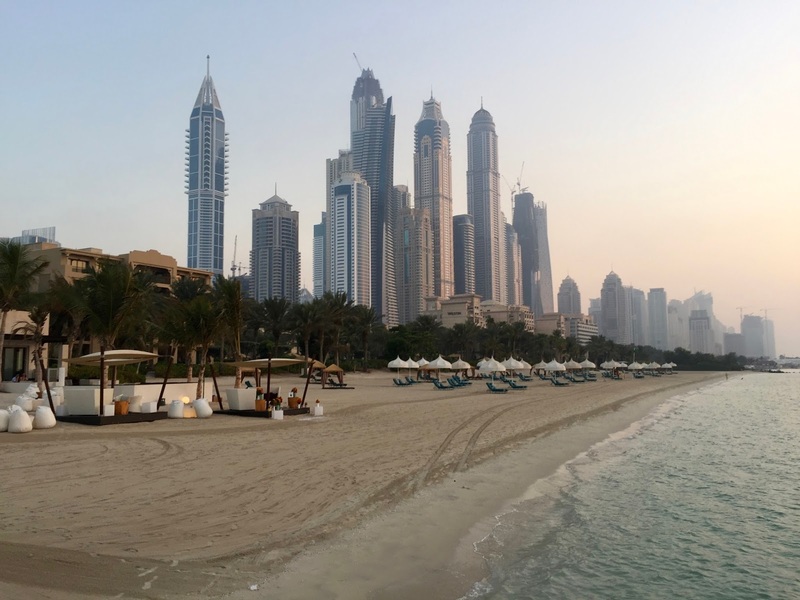 A negative point when it comes to location of Royal Mirage is certainly – as already mentioned – the nearby Palm Jumeirah. On the mainland, it is definitely one of the hotels most affected by this artificial island. One part of the Royal Mirage, the Arabian Court, is actually right next to the road going to the Palm. When staying at the Residence, you are not that close, especially when being at the pool instead of being on the beach. The facilities are first-rate, I do not go much into detail, but I want to point out two features. As guests of the Residence you are treated to afternoon tea, which is not only a culinary delight – the pastries are simply fantastic –, but can pass easily as full lunch! And the setting for this is also tremendous, in the peace of the elegant library, outstanding! The other thing worth mentioning is the fabulous pool area, which is reserved for the sole use of Residence’s guests. It is an oasis of quietude, the best place for rest and recreation. In case you feel like having more bustle, you can also use the pools of the other hotel parts. We had a Prestige Room, the standard accommodation at the Residence. It is large (58 sqm), well equipped and elegantly styled with Arabian features. The bathroom is amazing, with a large walk-in shower, a separate toilet, a double bath and double sinks. Everyone knows you by name and goes the extra mile. Every need you may have is catered for. When it comes to housekeeping, the staff tries to learn your routine, so that your room is always freshly made up when you return, fantastic. In terms of rates, such a luxury does unfortunately not come cheap, I am afraid. When we stayed there the last time at the beginning of October, we had a reasonable rate. But this has to be seen in relation to the season at the time. I would not go again at this time of the year because it was very hot (37 degrees Celsius) and also extremely humid. Make in any case sure not to go in summer when the heat and the humidity are unbearable! 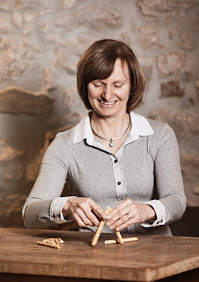 As to restaurants, there is an abundance of possibilities. On the occasion of our 3 stays, we probably tried out all the places not offering buffet-style dinners – we are not in favor of that. My favorite one onsite is Celebrities at The Palace, the signature restaurant with chic interior and classic fine dining cuisine. We also ventured to the sister hotel One&Only The Palm in order to have dinner with Stay by 3-star Michelin chef Yannick Alleno. Of course, the chef is normally not present, but he chose an excellent chef for this outpost with refined French cuisine. Breakfast at the Residence is a highlight, there is a delectable buffet for cold dishes and exquisite hot dishes can be ordered by the courteous and efficient staff. As already mentioned, there is a fabulous afternoon tea (detailed under facilities). 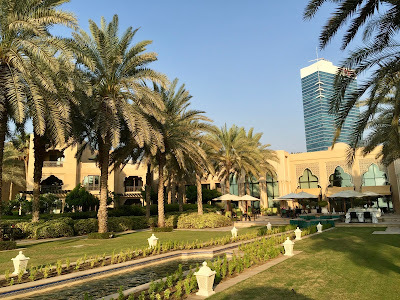 As this was our 4th stay in Dubai and as we tried out and examined other places than Royal Mirage I would like to have a short look at 2 other hotels. 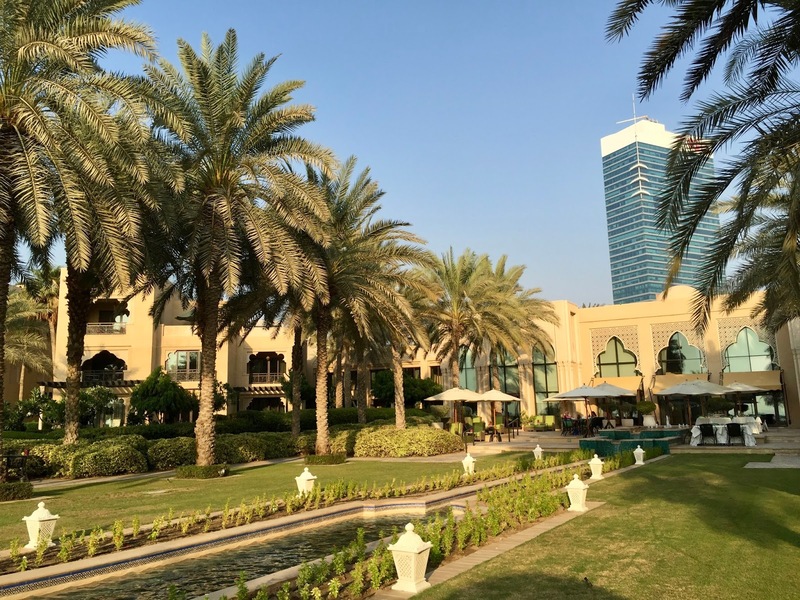 Having been to Dubai 4 times, I consider One&Only Royal Mirage still as one of the best luxury hotels onsite, especially its part Residence & SPA. It is a gem of a hotel with exemplary staff, superb accommodations and excellent facilities. Its Arabian styled buildings create a delightful retreat in busy Dubai. 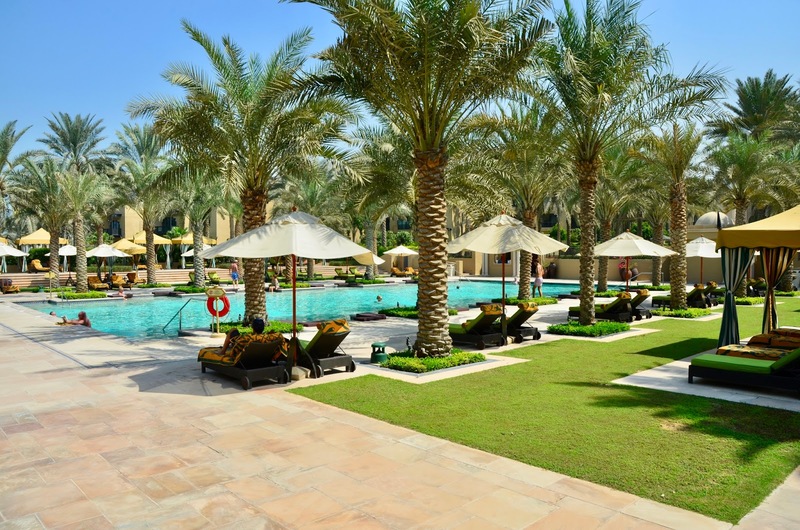 Although the construction of the Jumeirah Palm in front of the resort cannot be considered as an asset, the Royal Palm remains a unique luxurious oasis of calm. We really like the One & Only Royal Mirage but it really is huge! We actually preferred the Four Seasons where we stayed on the way back! Thank you for pointing this out. Yes, I have heard about FS and we think about going there next time. I look forward to reading your review about this hotel!